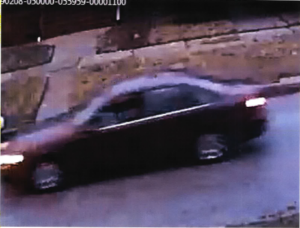 Area South Detectives are seeking to identify the above vehicle pictured, and its occupant(s). The vehicle was used in an aggravated battery with a handgun in which a 1-year-old child was struck in the head. The aggravated battery occurred in the 9900 block of S. Throop St. on February 7, 2019 at approximately 5:26 p.m.